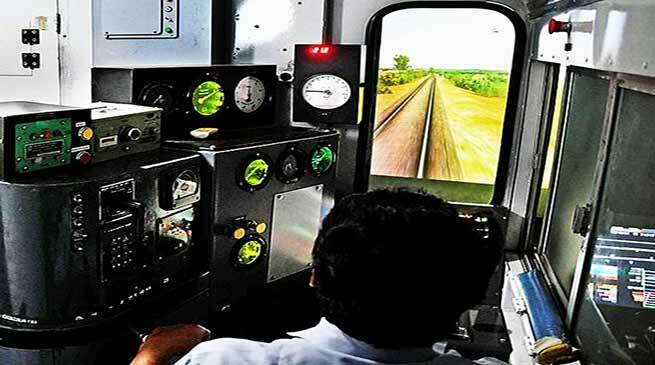 In what is claimed to be a first in Indian Railways, NF Railway has started the training of Assistant Loco Pilots on simulator in application of emergency brakes. The Loco pilots and Assistant Loco Pilot are responsible for the safe running of the train, where each has a specified role to play. The Loco Pilot is the senior of the two and is the in charge of the cabin. However, during emergency situations, when the train has to be brought to a sudden halt, the Assistant Loco Pilots has a crucial role to play. The specially designed simulator training is conceived to address this particular need, when the Assistant Loco Pilot can prevent an untoward situation by timely application of emergency brakes. It is to be mentioned that a large number of accidents have been due to human error in the past. SPAD or “Signal Passing at Danger” is one such reason for many accidents. This simulator training will go a long way in bringing down such SPAD cases by boosting the level of preparedness of the Loco Pilots.